Yeah…!!! You can reinvent the way you live by doing what you love and start onto your journey of starting some business of your own. Starting your business and becoming an Entrepreneur is a process and not an event, so you will have to learn step by step from the best entrepreneurs around the world, who have written some of the best books. These entrepreneur business books will guide you to start on to your entrepreneurship journey and will take you towards becoming a successful entrepreneur some day ahead in future. Some of you might already be an entrepreneur, so these books will help you become better at managing your overall business and gain more profits. How to follow our top 10 must read business books for your maximum benefit and learning of aspiring entrepreneurs? We have made the list of books list going from most simple book helping you put your first step in world of entrepreneurship and then going towards the most advanced entrepreneur books. So the book on the 1st position should be your 1st book, while the book on 10th should be read after you have been done with 1 to 9 books on list, of-course you can choose a random one if it really interests you. So let’s get started with StunningAlways suggestions of top 10 must read Entrepreneur business books in 2019 for guiding you to mark your journey towards starting a successful business and becoming a successful entrepreneur. 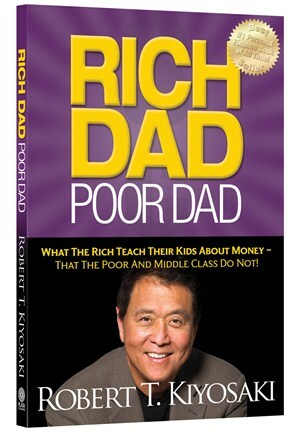 ‘RichDad PoorDad’ book has been a life altering book for many people, who have been living a mediocre life by the teachings that our world teaches us from time we are born, “Study hard, get into good college, so that you can ultimately you find a safe secured job”. This book challenges the traditional society thinking and inspires you to challenge yourself towards starting some business on your own. The book presents Assets and liabilities in a different manner. Robert describes “Home as liability and not as Asset”. The book teaches about the tax laws which are different for people who are employees or who run their own business or for people who own their own company. The book teaches how the rich successful people think and will guide you towards thinking as rich successful person. Here’s what you will get: This book will teach you about money like no way ever taught in any schools/college, it will teach you about how the rich people think and how money works for making rich people richer. About the Author Robert Kiyosaki: He is a self made millionaire, Book author, Real estate Investor and got retired by age of 47. Cashflow Quadrant is one of its kind of book that teaches about the different quadrants of money we all lie into. The author explains about the 4 Quadrants: Employee, Self Business Men, Company Owner and Investor. The book will guide you to identify your Money Quadrant (There are 4 quadrants defined in the book) and will guide towards the quadrant you ultimately want to reach and grow into. 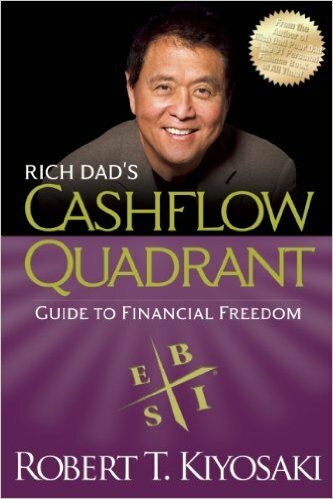 Robert Kiyosaki teaches you to jump from E-Quadrant (employee Quadrant) towards jumping and learning skills required for B-Quadrant (Company Owner). Ultimately, book aims at teaching you to retire rich by becoming an Investor. Here’s what you will get: You will understand how we all people in the world are categorized by 4 quadrants mentioned in the book. Moreover this book motivates you to jump from employee quadrant to business quadrant and also teaches you on how can you do this jump with more probability of success. This book tells about the habits that the most successful people in the world indulge into for being and staying successful. 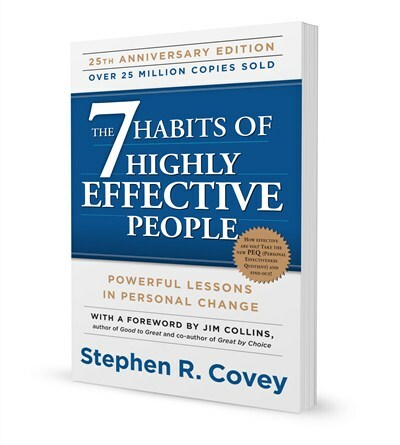 The book signifies 7 habits of successful people and teaches how these habits can help you change your life for better and help you become successful by inhabiting these habits into yourself. Book teaches to turn problems into opportunities instead of just complaining about the things that aren’t right. 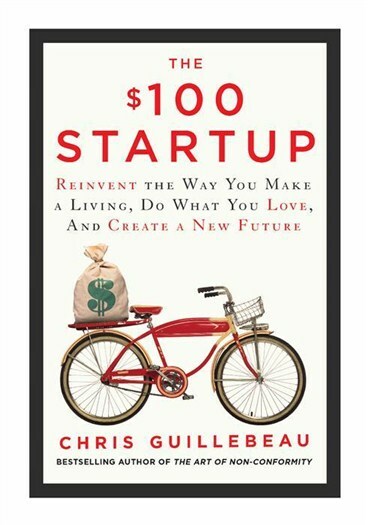 Although this is not a direct entrepreneur book, but it actually teaches essential lessons that every person should possess to become an a successful entrepreneur. Here’s what you will get: You would learn the habits that successful people around the world possess in them and use those habit often to build a fortune for themselves. This book is unique in its context for becoming a successful entrepreneur, as it teaches one of the most important qualities a person should have while running a business. 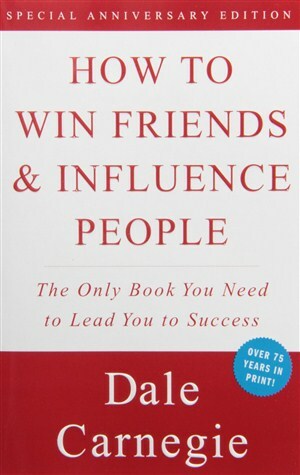 It teaches how to win friends and influence people, and thus help you get your work done the way you wanted it to happen. Dale Carnegie teaches good easy to learn techniques that you can master easily with little daily practicing of his teachings. Throughout this book there are lessons written based on the behavior of influential people in the world, that ultimately helped them build great fortunes for themselves. This book will form as a stepping stone for you towards becoming a successful influencing person in the world of business and in your personal life. Here’s what you will get:A simple book with teaching the important life lessons of influencing people and success, these are the qualities every entrepreneur should possess. You would understand how the successful people behave in the problematic scenarios, which would help you in dealing with your own life situations in better way. If you are currently working at any company or place, but you don’t know how you can quit your day time job to start your full time business…!!! Then this is the book for you. The book teaches 10 important lessons necessary for every person that wants to quit its job and start their own business or do some work on their own. 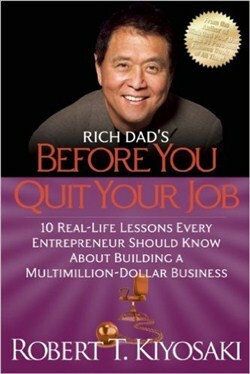 This book will prepare you step by step the necessary qualities that you should possess before you quit your job. From having the cash-flow handling skills to understanding the Business-Investor Triangle, this book teaches important many business teaching in simple effective manner. 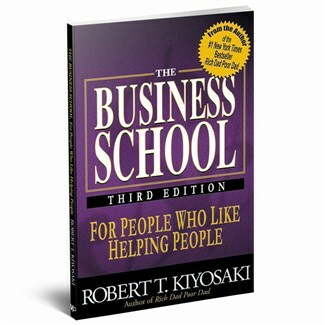 This book is one of its kind of entrepreneur book, which teaches you the business skills from the 100$ success stories. The 100$ success stories are the ones that people around the world have started with investment of less than 100$ and have grown to form a successful business in few years of time. The book teaches many good entrepreneurial lessons along with the success stories of entrepreneurs. The book establishes a term called as ‘Solopreneur’ which goes on to tell the success stories of the single entrepreneurs that are successfully operation in their business all by alone without a team and who do not wish to expand and wants to stay small yet gain reasonably good profits year after year. 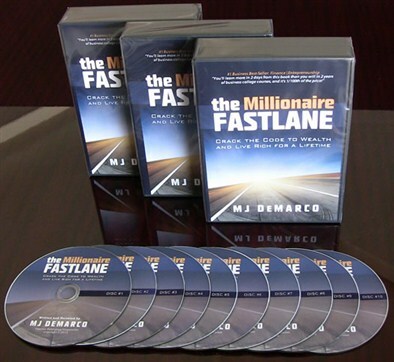 Millionaire Fastlane is one of the best financial entrepreneurship books. It is written by MJ De Marco who is a self made millionaire and had retired by age of 33. This is one of those financial books which share lot of information to be rich by starting your own business in a very interesting way. This book explains about 3 lanes: Side-lane, Slow-lane and Fastlane. You would definitely find yourself in one of the 3 lanes explained in the book, and you would feel inspired to jump from your slowlane/ sidelane to ‘Fastlane’ as you progress on reading the book. The book one of the main highlights are the commandments that are explained in the 3rd part of the book, the 5 commandment are the bullet points any entrepreneur should consider for their fulfillment for a successful business startup, execution and profit. The book gives financial tips on ways to speed up growth of your wealth, so that you can retire young and retire rich. Here’s what you will get: You would get the most powerful kick to leave your job and would feel inspired to start something on your own, moreover you would get to know more than 250 powerful financial advises. This book is written on the need and benefits to starting a network marketing business for the individual that wants to quit their job and start on their own. The book teaches the valuable lessons that an individual learns while working in an network marketing business. From having the leadership skills to having the communication skills, this book explains how a network marketing business will help you grow as an individual and help you become a successful entrepreneur. Here’s what you will get: You would understand the need to start or work in a network marketing company, as that will teach you valuable lessons in becoming a successful entrepreneur. A lot of successful businesses are started by either getting an hint from either a business pattern that is sure to be successful or a business that does something new, that have not yet been attempted before. 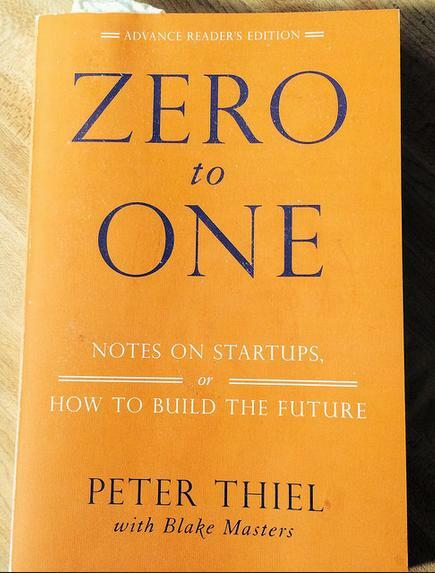 Author Peter Thiel talks about the business that starts from zero, that have a raw new idea, which have never been attempted before by any one. The author further goes on further to explain the businesses that revolve around a raw new idea and converting that idea from ‘0’ to turn it into a successful profitable business, which is ‘1’. The book teaches creating a monopoly service by way of your business that no other business is able to fulfill, and you would be the only leader in the market for that particular niche with no competition as you start your business. Here’s what you will get: Coping ideas and starting business on similar lines is being done around the world, but this book will motivate you towards starting a business based on a brand new idea and will teach you on how to do that step by step. 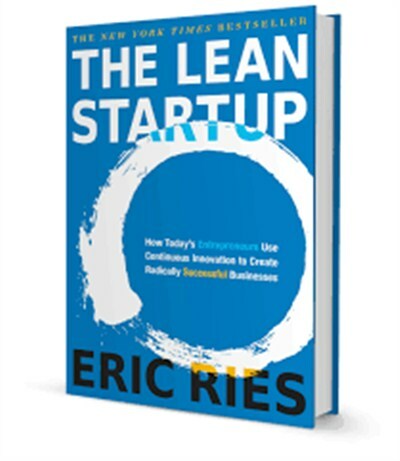 The lean startup is about a process that is essential for building a successful company delivering a valuable product to the world. It teaches a philosophy of “Build -> Measure -> Learn” on building a product from the idea that you have in your mind and then present that product in the form of ‘MVP – Minimum viable product’ to your customers for feedback. MVP is the basic version of your product that you can present to your customers and get feedback as soon as possible, so that you can come up with a better product. It pushes you to get started with your business to learn from the problems and Pivot (Pivot – It is another concept in the book, it teaches to change business direction in scenario of problems or when your product receives poor response from audience). Here’s what you will get: This book introduces an idea not known to many, it introduces MVP. This books teaches the concept of learn, build and measure, these concepts while guide you in launching a product or new service in the market in more effective way. One of the above book author describes the entrepreneurship journey as “The journey to become entrepreneur is easy but not simple enough for everyone to do it”. But a positive side is that, reading these books will definitely help you start with the journey and push you towards becoming a successful entrepreneur. Do try to Read all the book one after the other, if possible for you. We recommend that you bookmark this page, so that you have a list of entrepreneur books handy for you to read, as each book teaches some or the other important entrepreneurial lesson that will be helpful for you in your entrepreneurial journey… You can buy single book or you can read books on Amazon kindle for free. So, make the most of this amazon offer and read maximum books for free. Liked our list of top 10 entrepreneur books for 2019…!!! Then do share these top 10 books with your like minded entrepreneur friends. Like ‘StunningAlways’ on Facebook and subscribe to StunningAlways to receive many new interesting articles updates in your mail inbox..